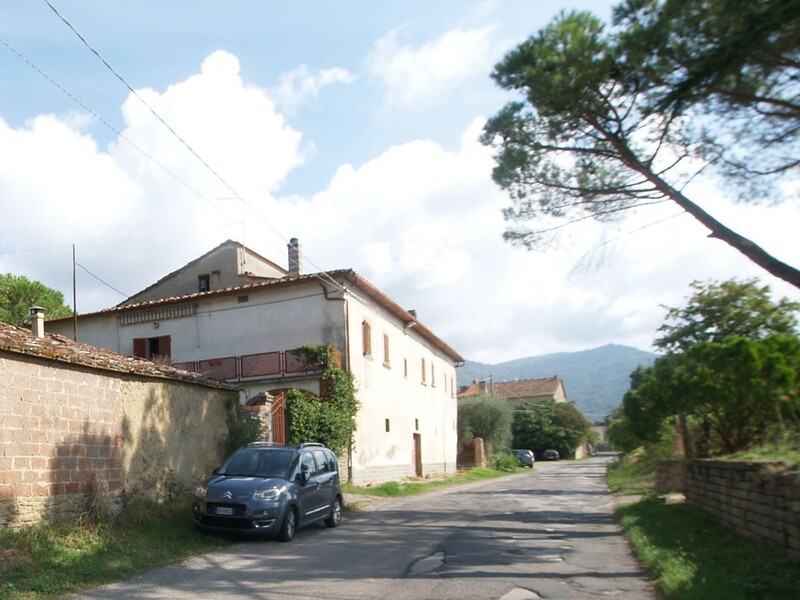 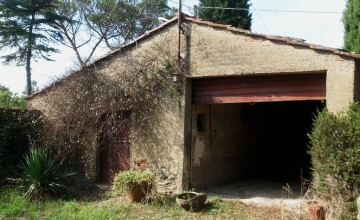 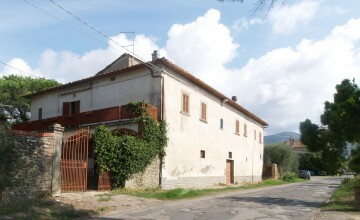 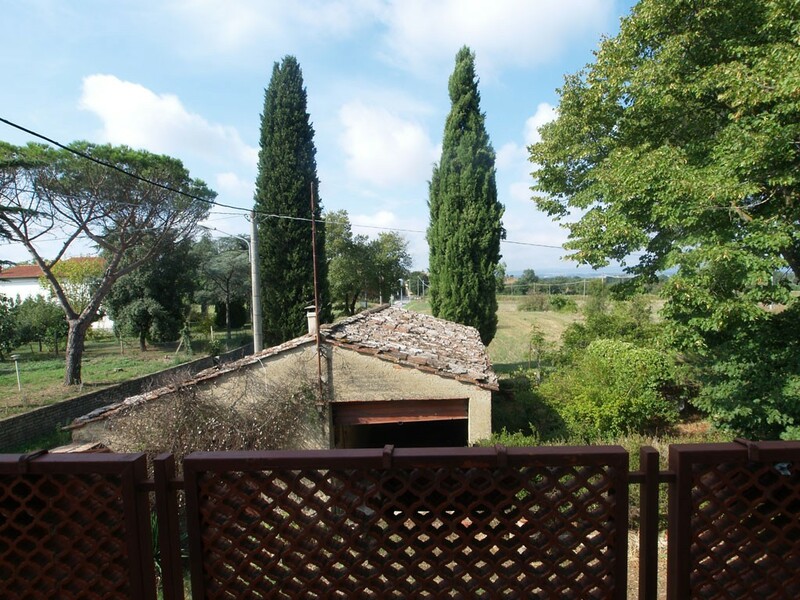 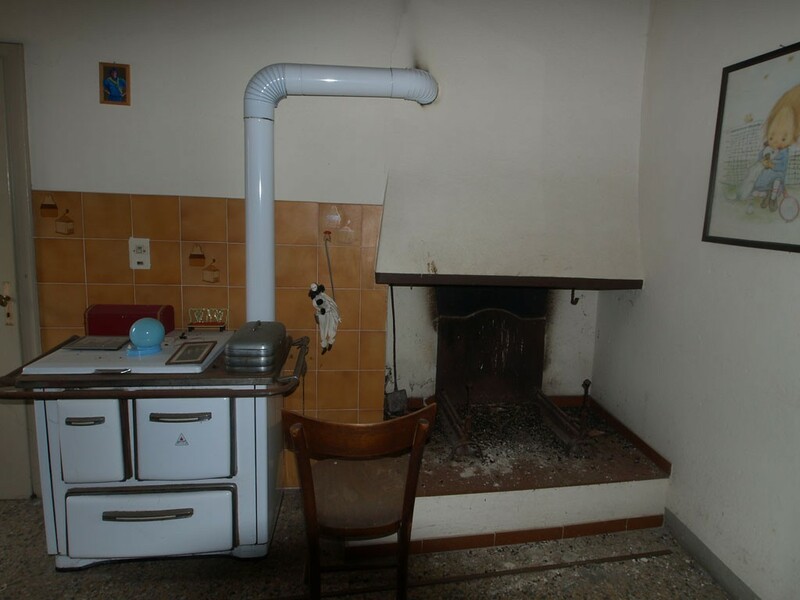 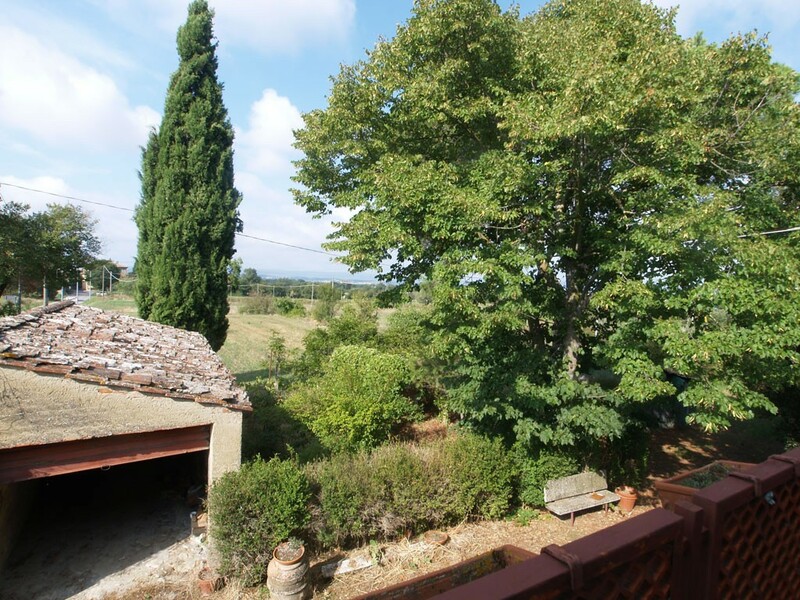 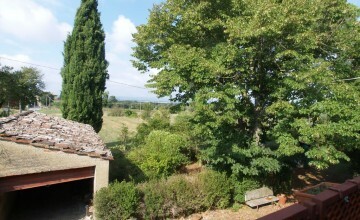 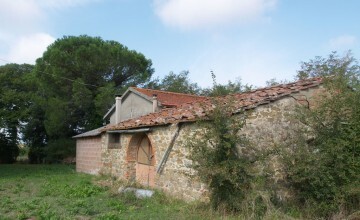 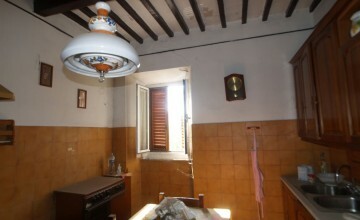 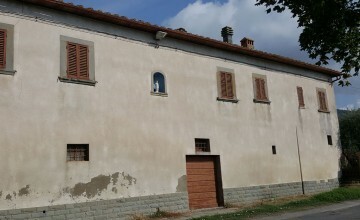 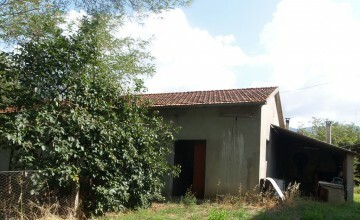 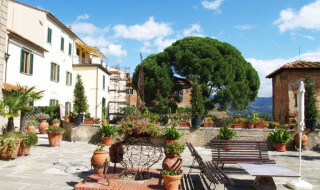 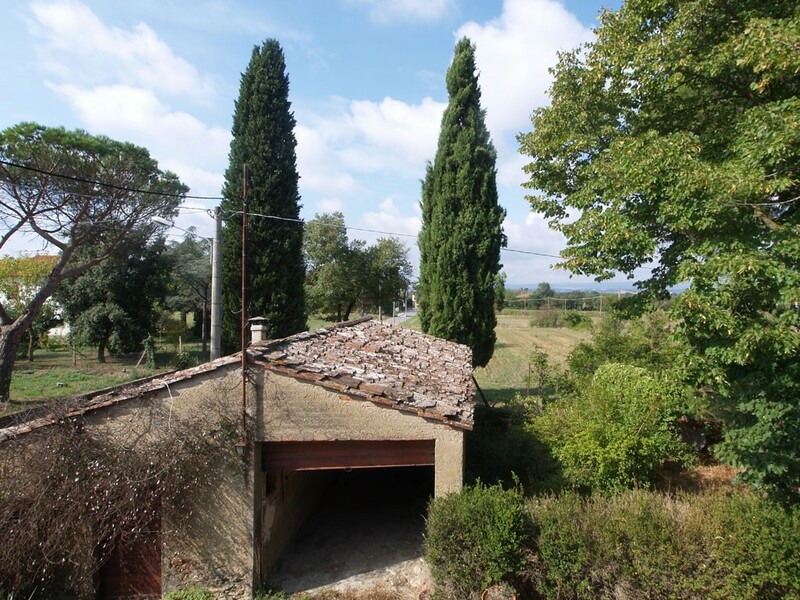 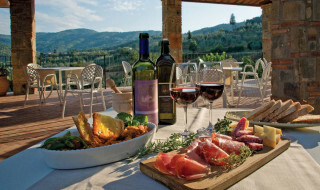 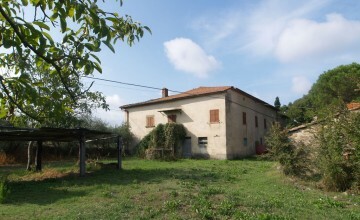 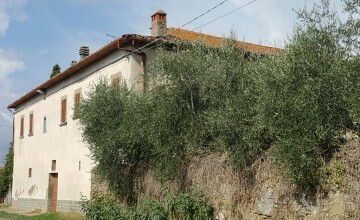 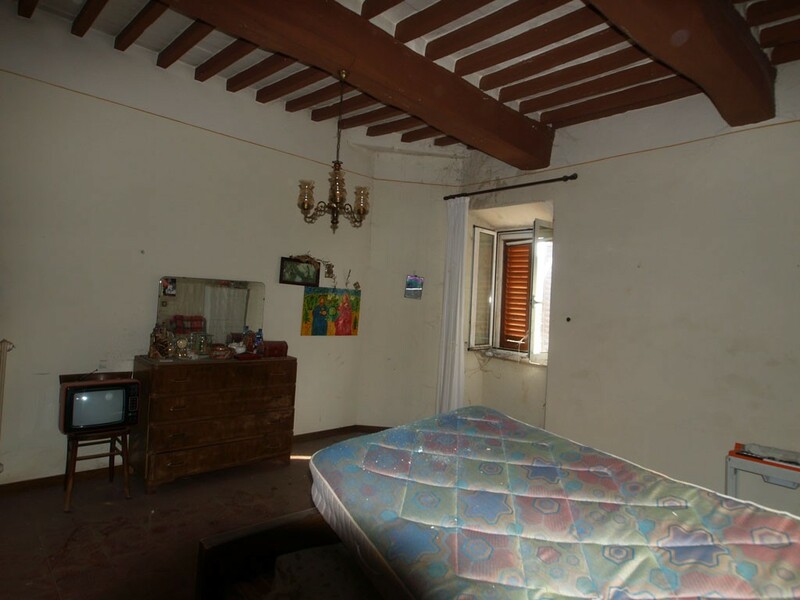 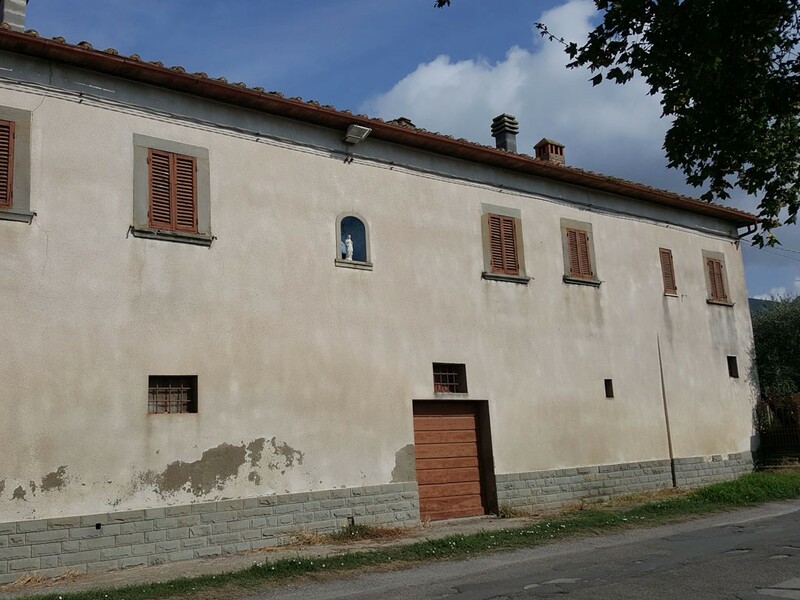 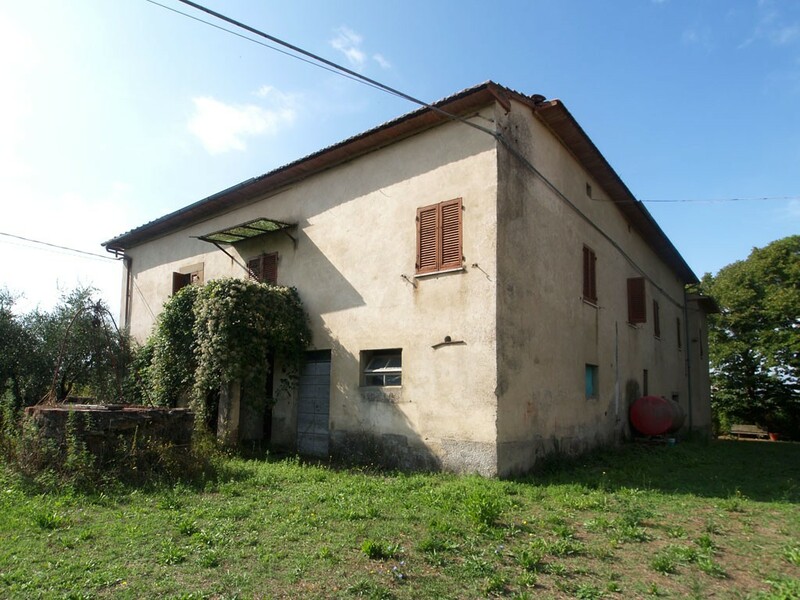 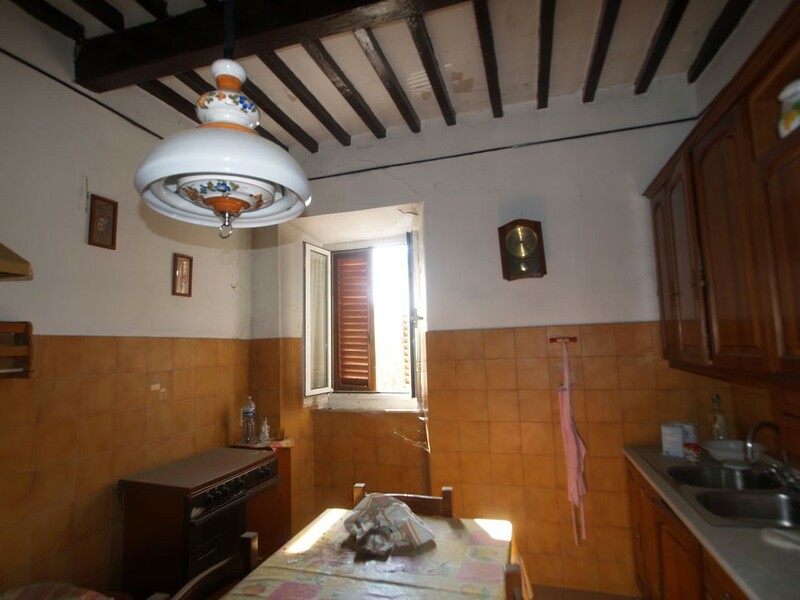 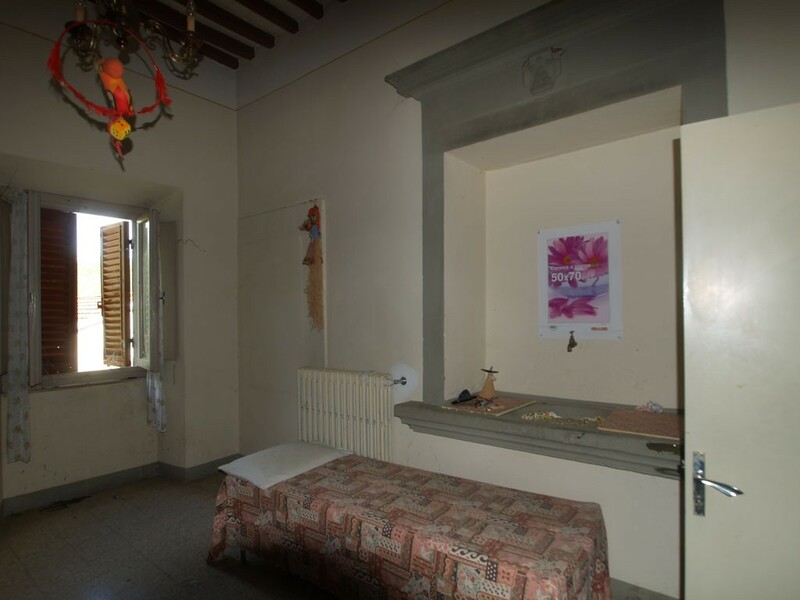 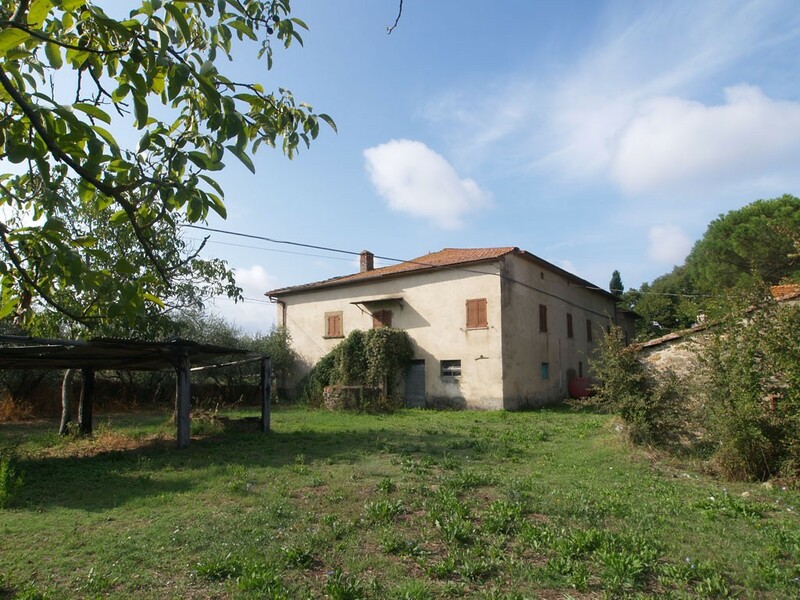 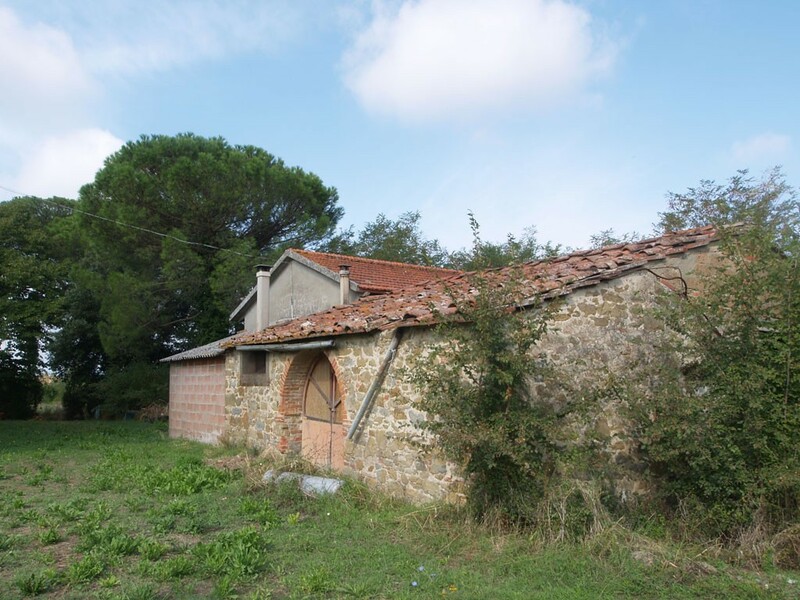 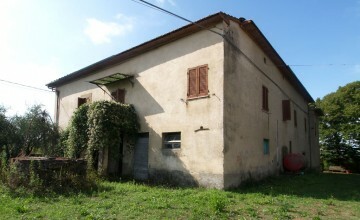 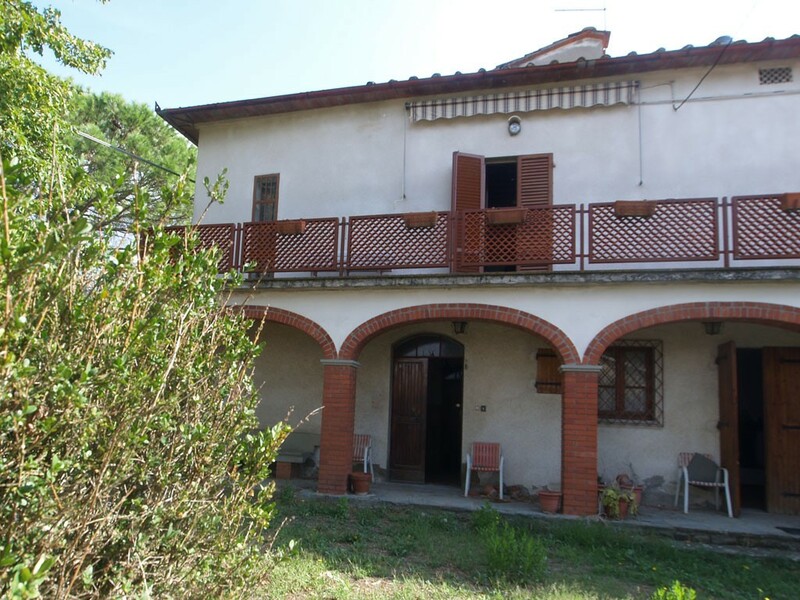 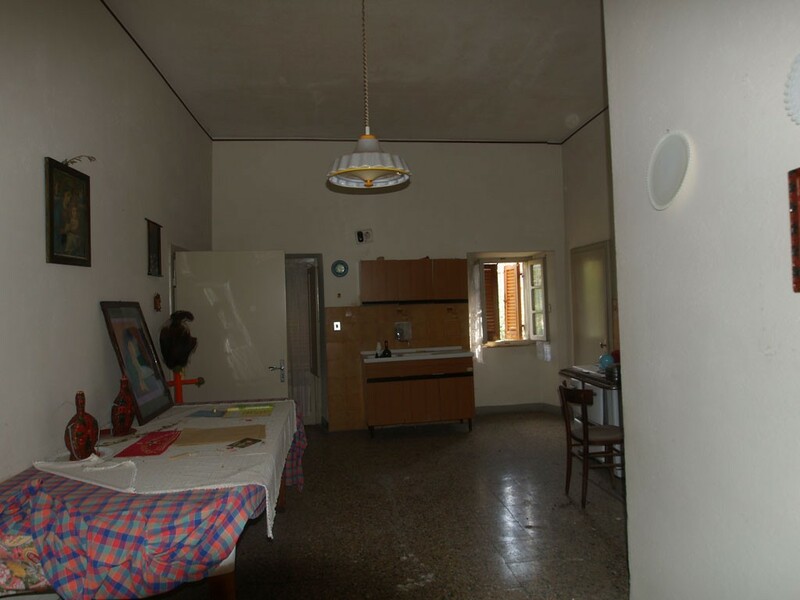 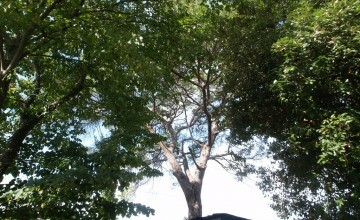 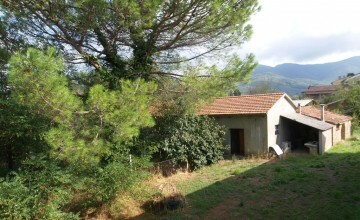 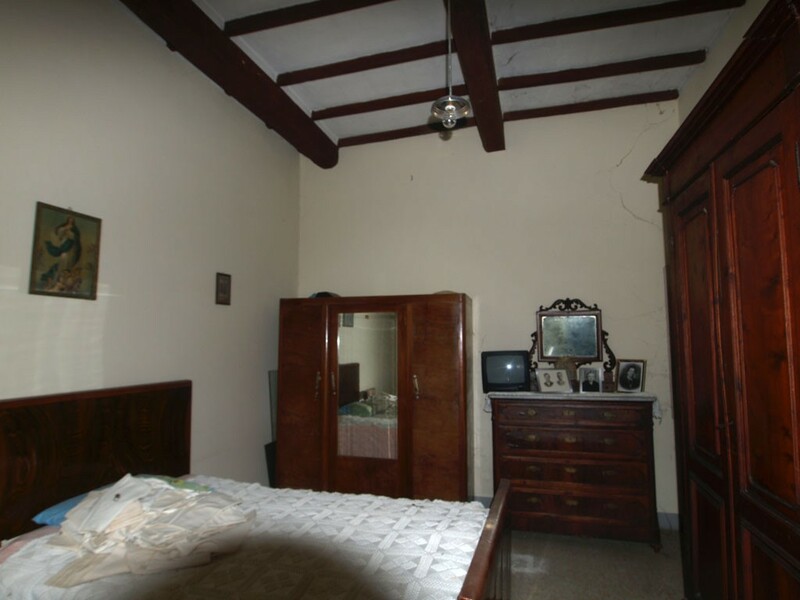 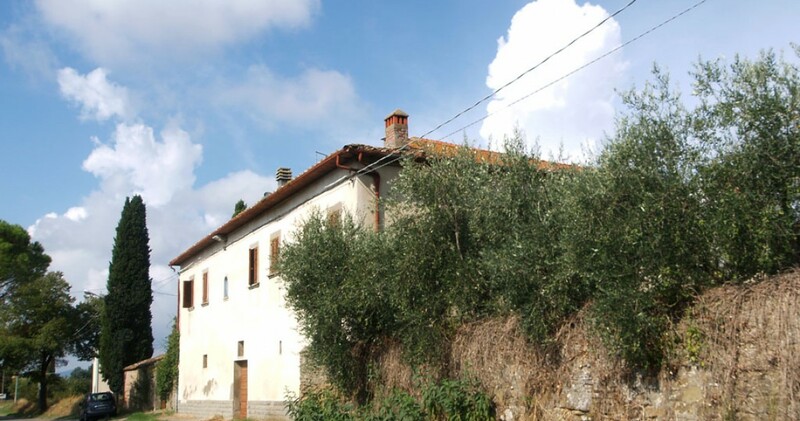 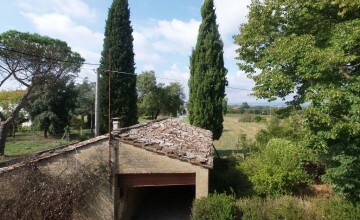 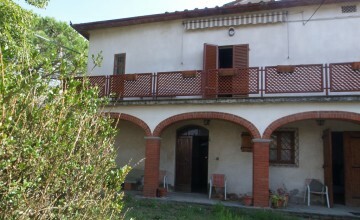 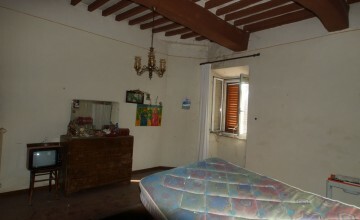 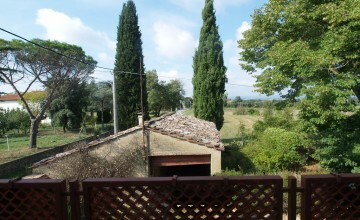 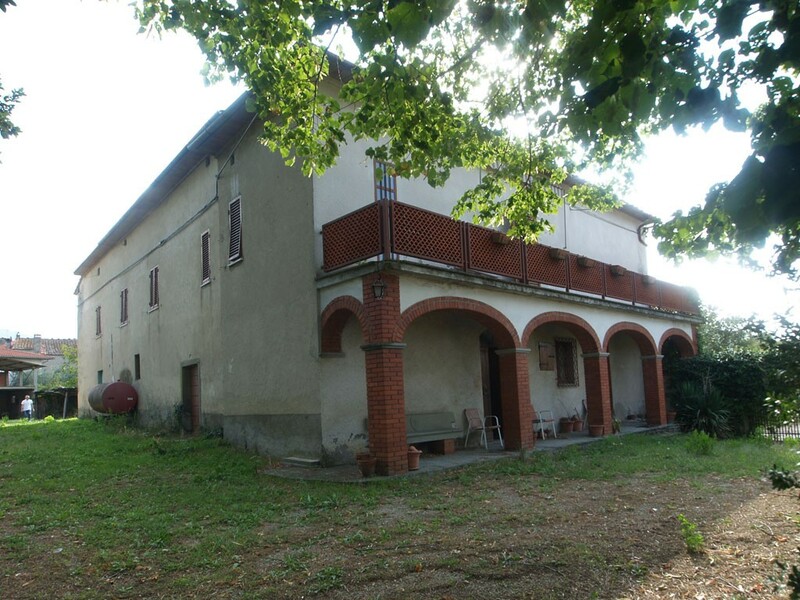 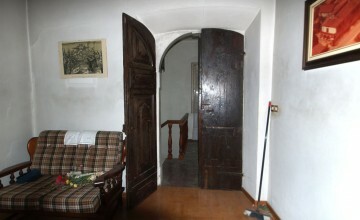 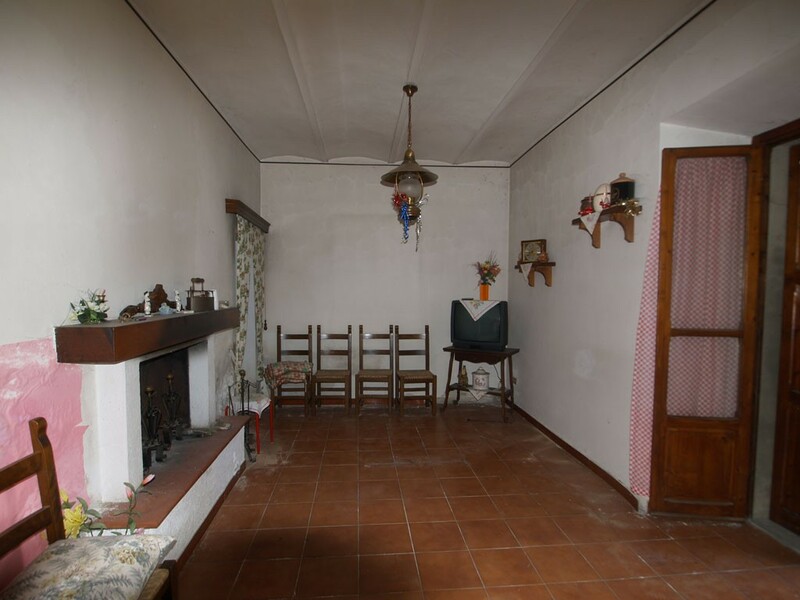 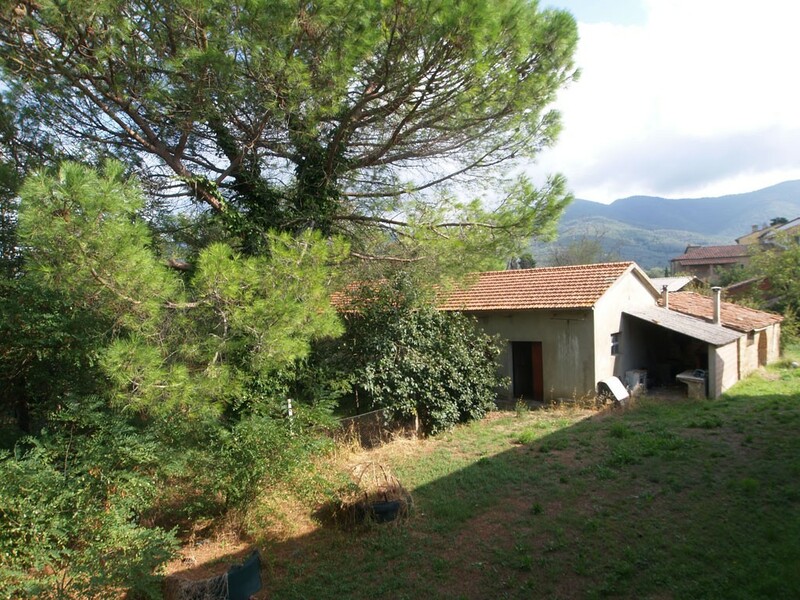 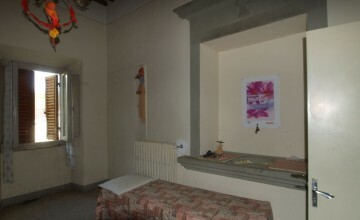 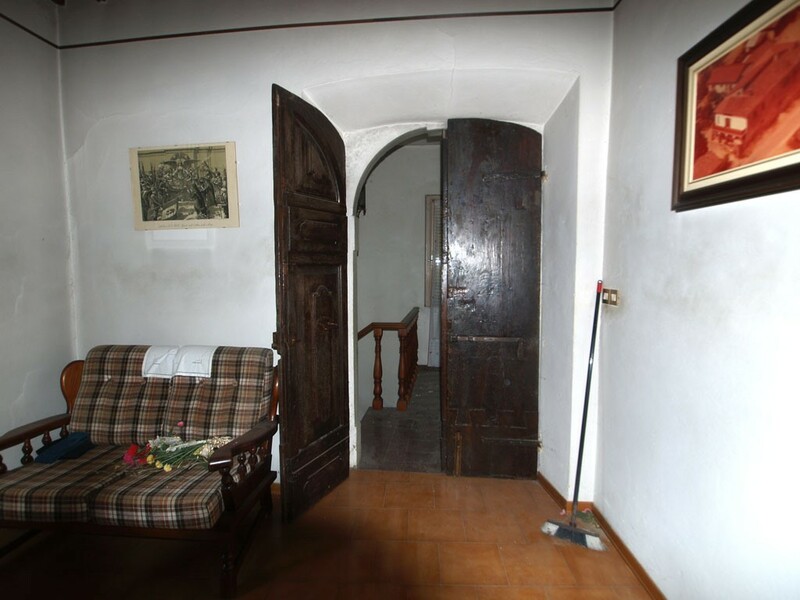 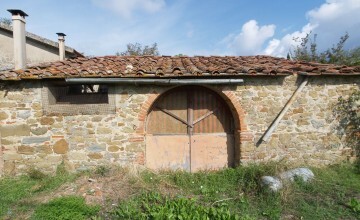 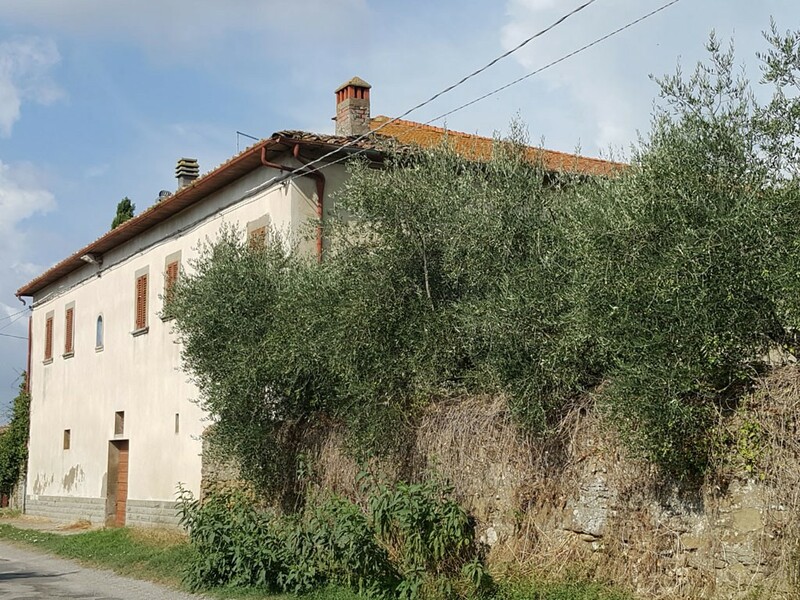 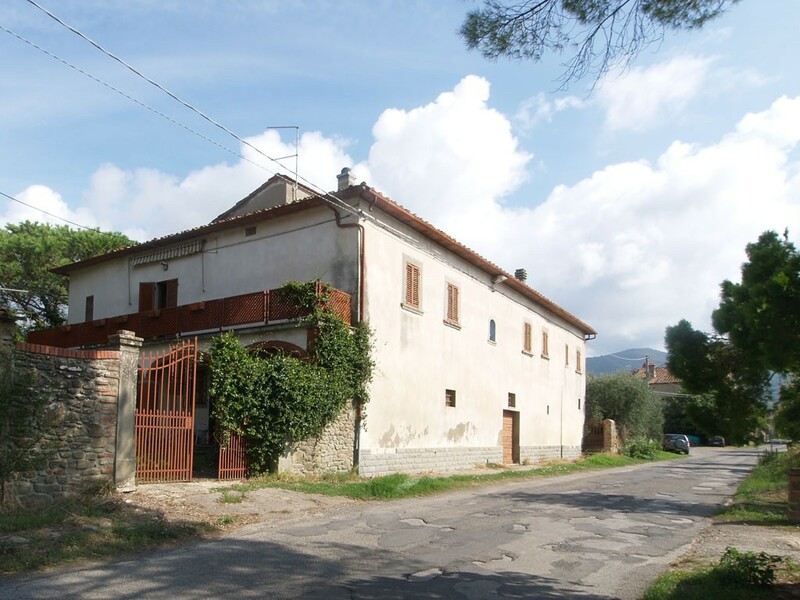 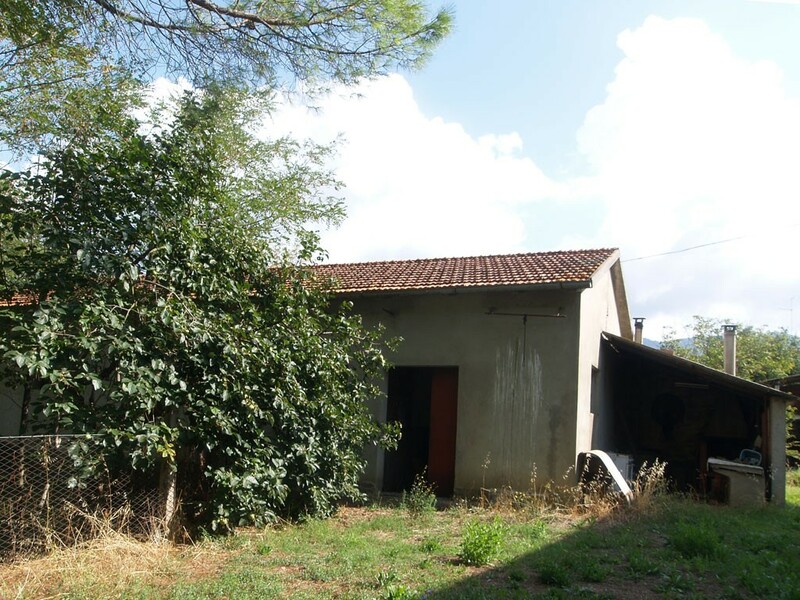 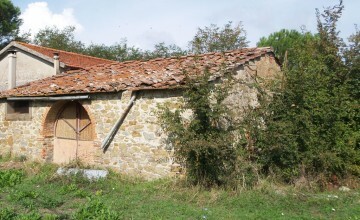 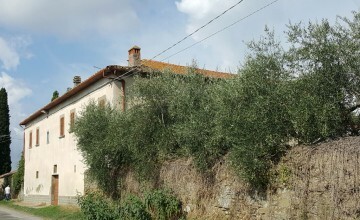 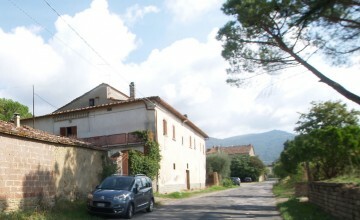 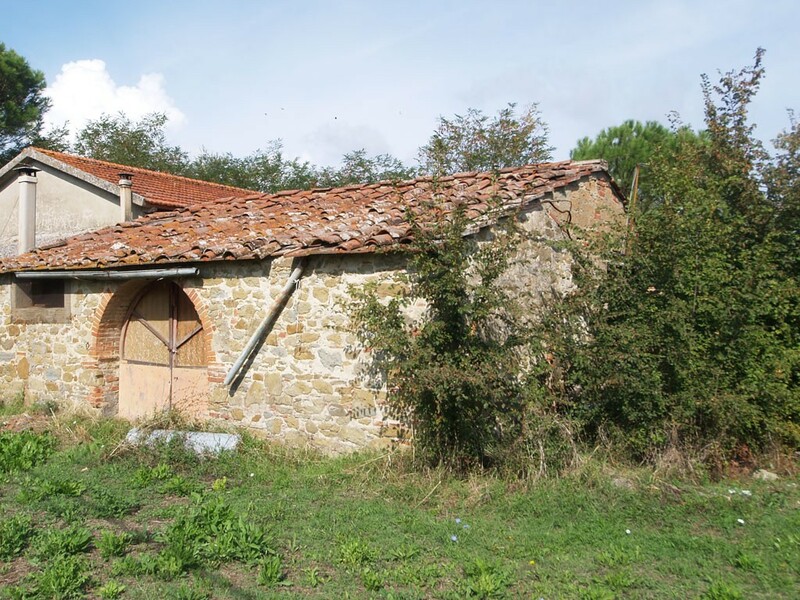 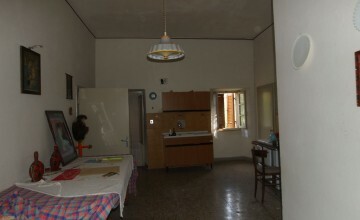 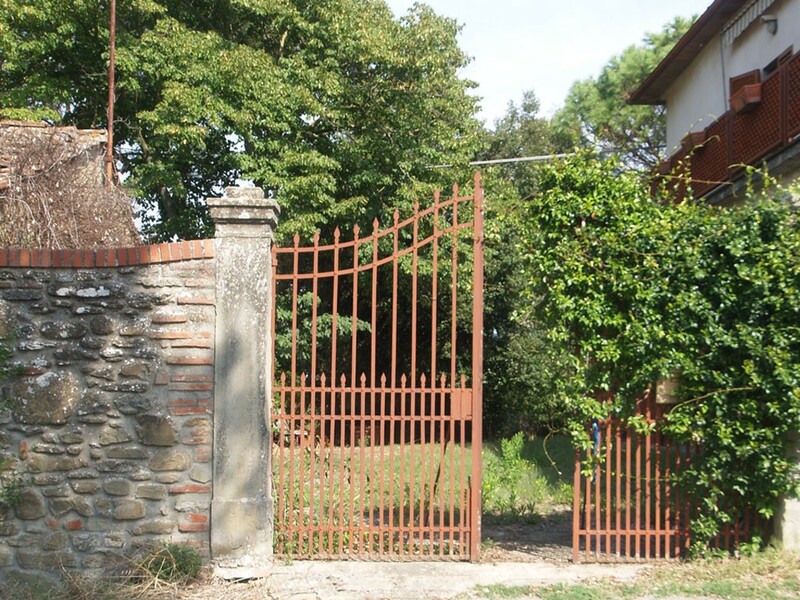 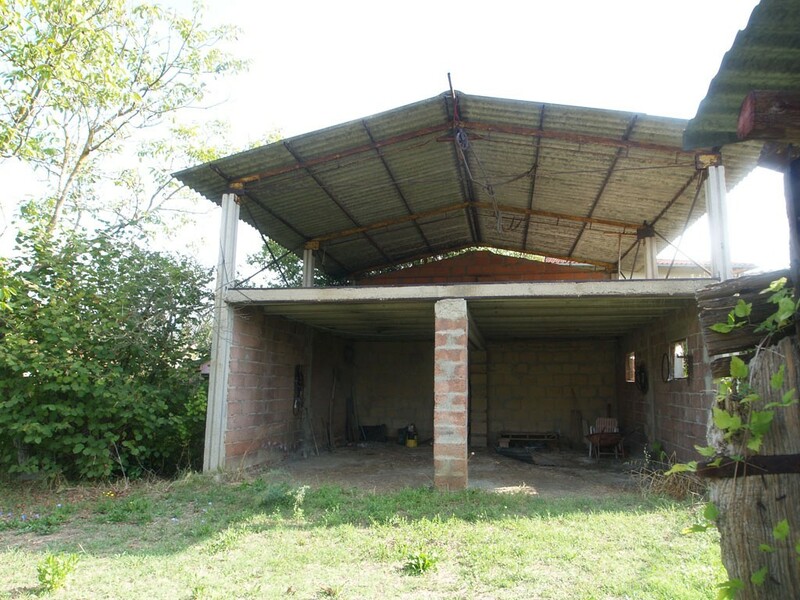 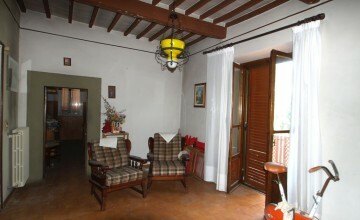 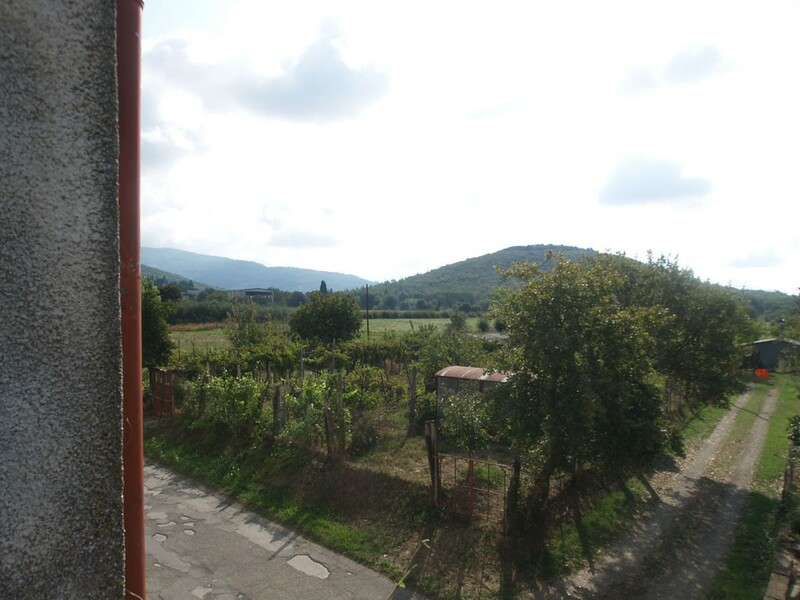 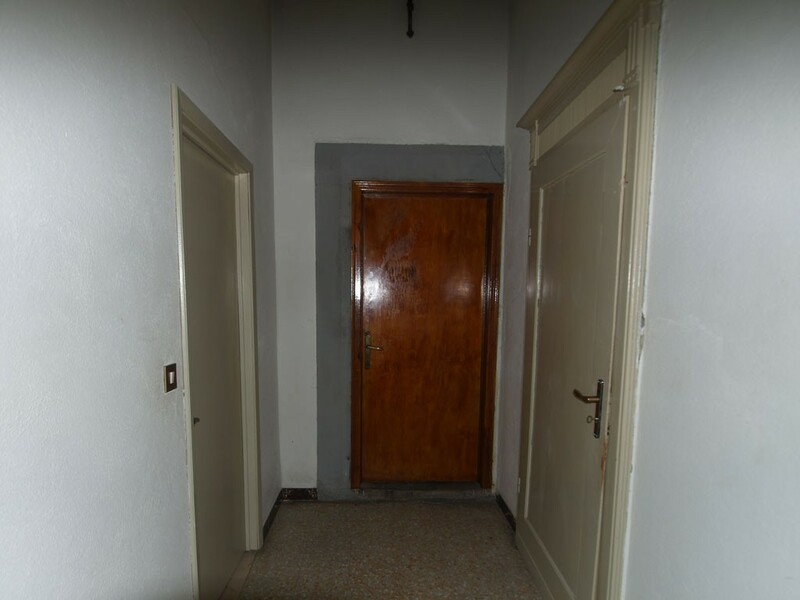 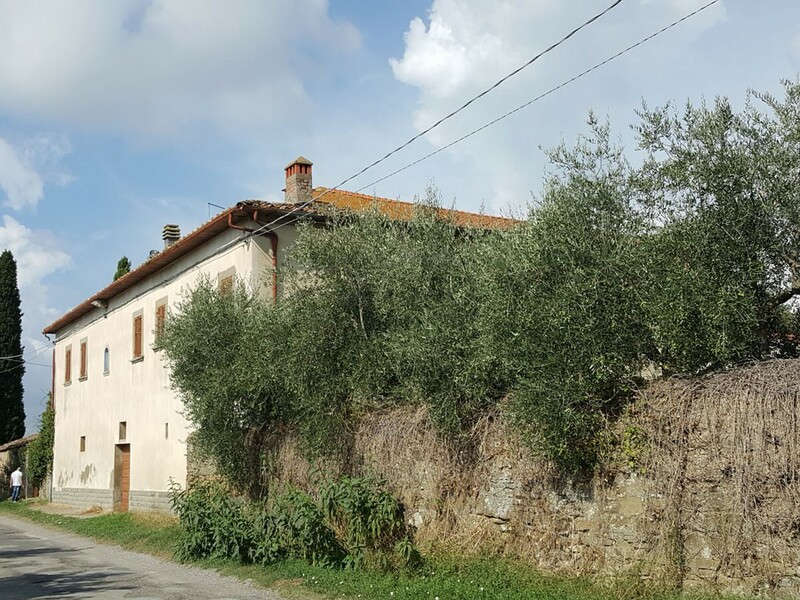 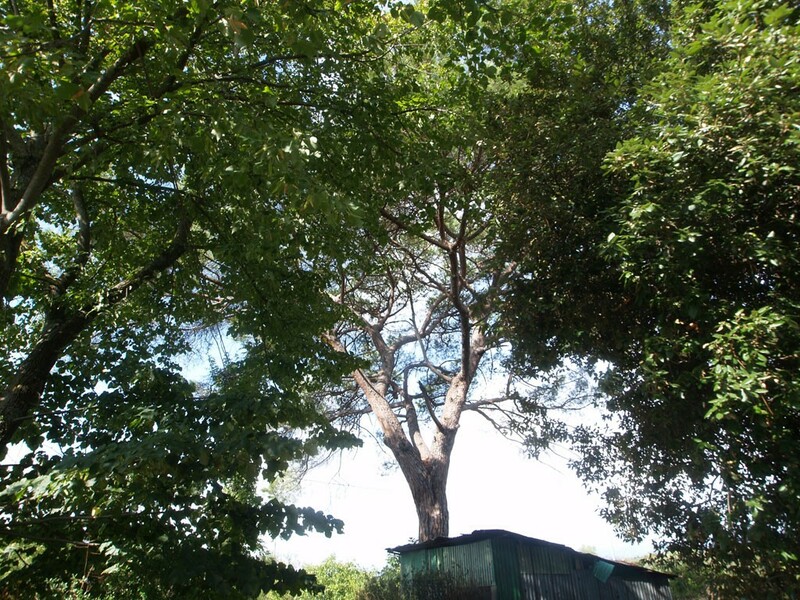 The property is located in Valdichiana Valley, between Cortona and Arezzo, not far from Castiglion Fiorentino with all services and close to public transport. 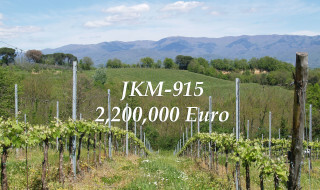 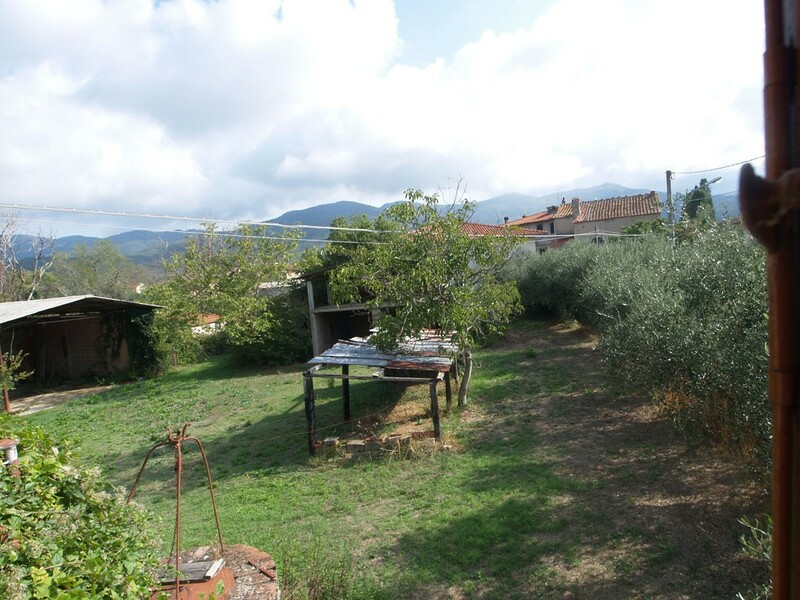 It is an almost 4 acres (1.7 ha) plot of land with vineyard, olive trees and arable land, main farmhouse and eight outbuildings for a total of 11,000 sq. 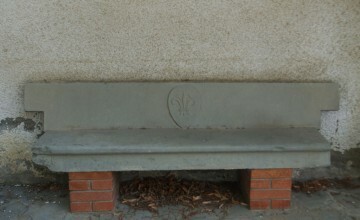 feet of surface (1000 sq.m.). 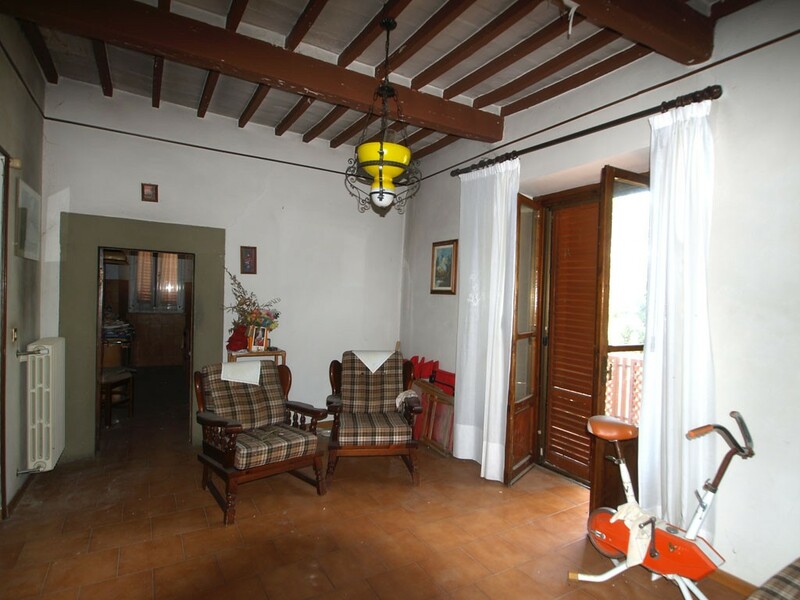 The property is suitable for several purposes such as – accommodation facilities for tourists, retirement home or simply a residential complex. 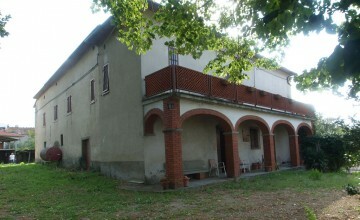 The main house was built in 1792. 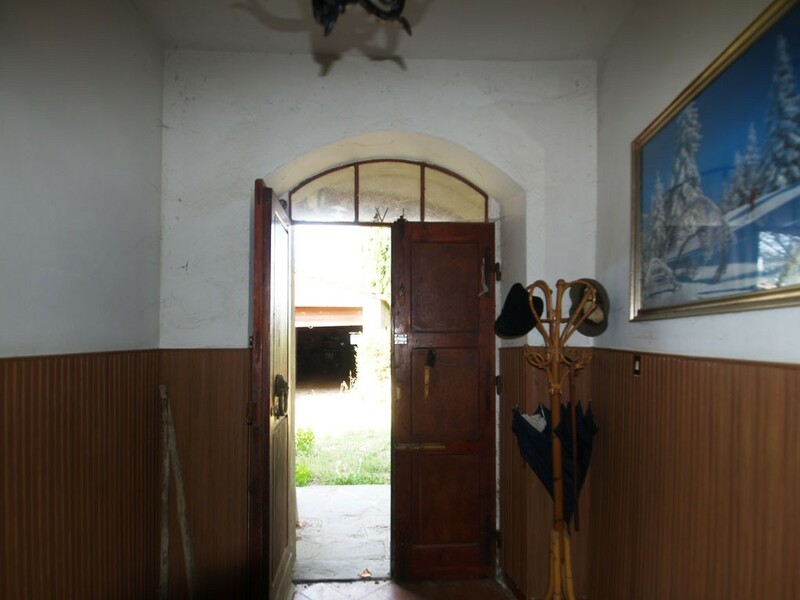 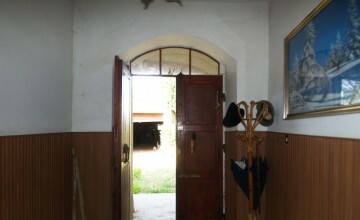 In the seventies it was restored and divided into two apartments on the first floor, while the ground floor was left as cellars, stores and stables. 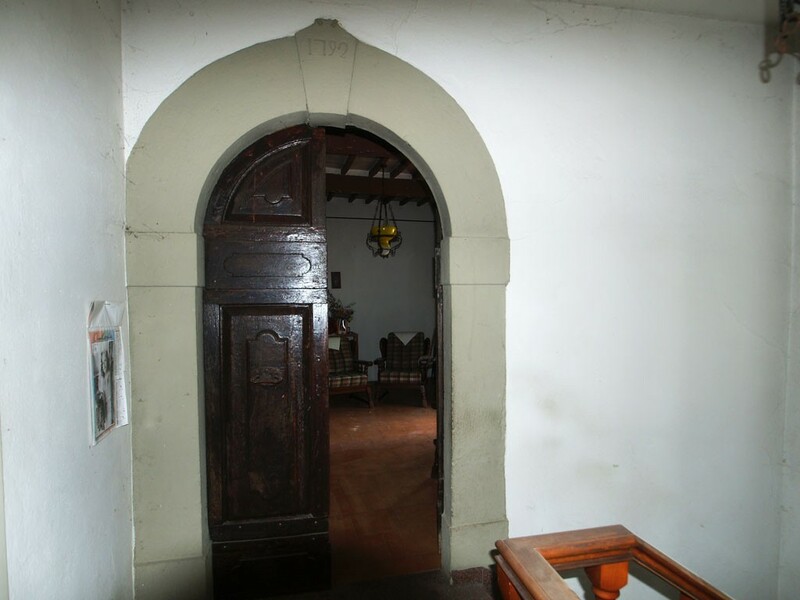 Even if the external of the building was changed according to the trends of that period, several internal details remained. 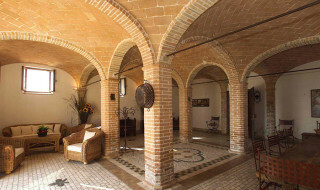 The ground floor has vaulted ceilings, while the first floor has ceilings with beams and decorated terracotta bricks, quite unusual. 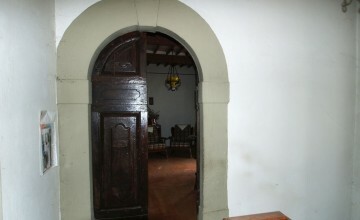 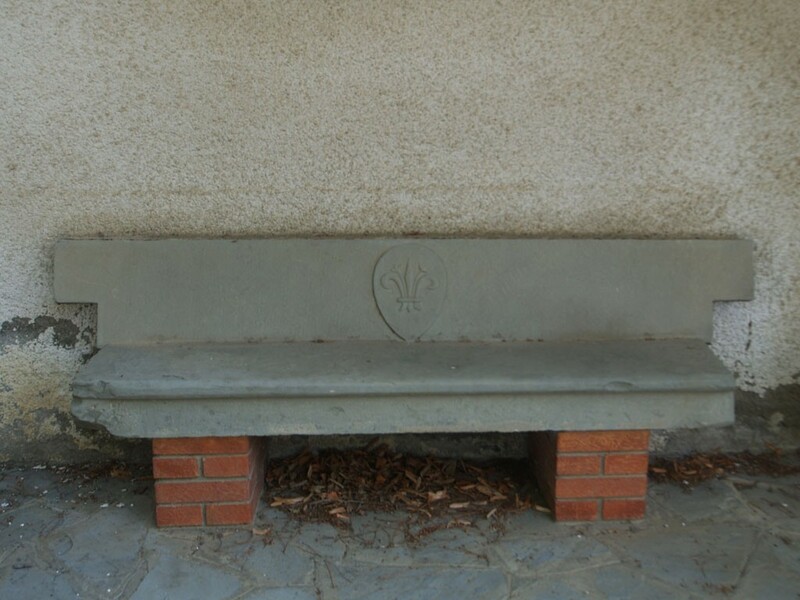 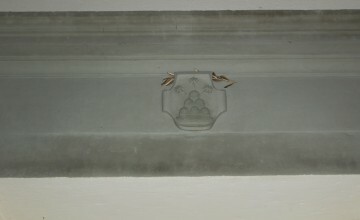 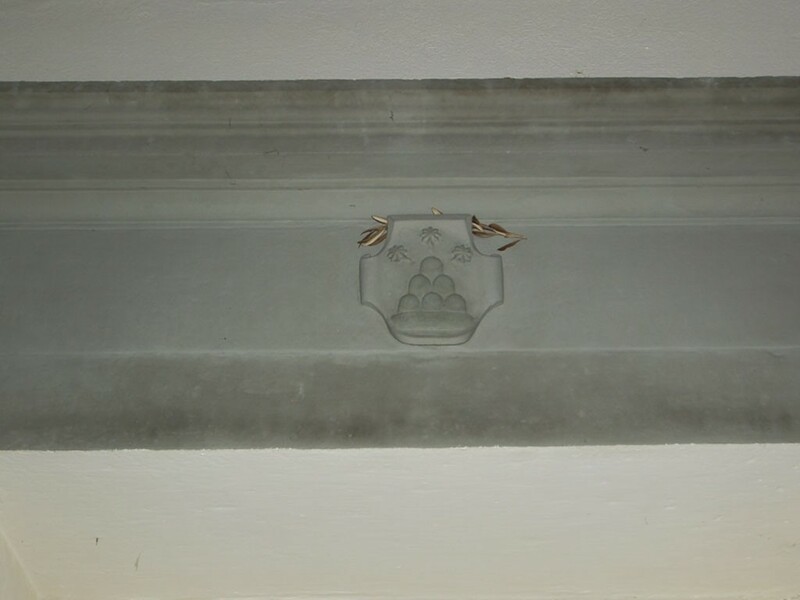 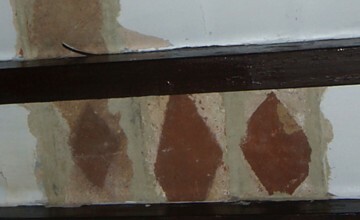 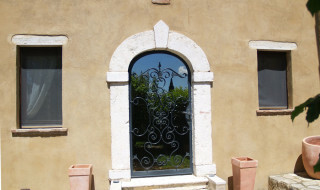 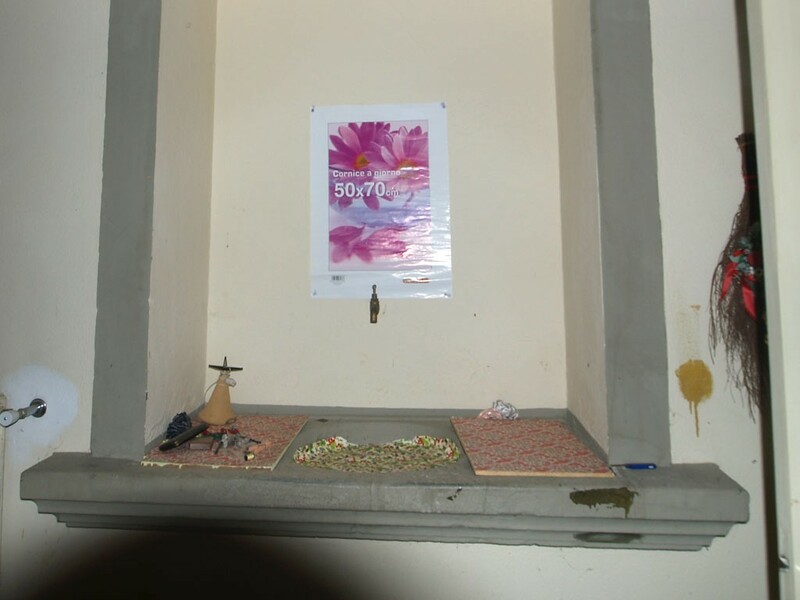 Also, some stone elements such as water basin and internal door frames have remained. 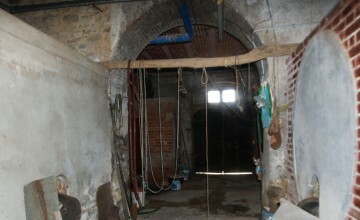 There is also a under roof area, used in the past for storage purposes. 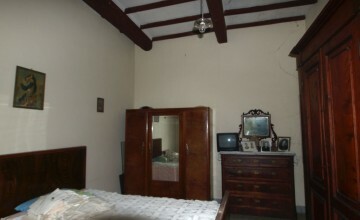 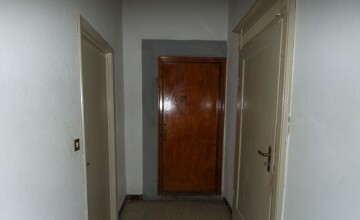 In total there are 8 bedrooms and four bathrooms. 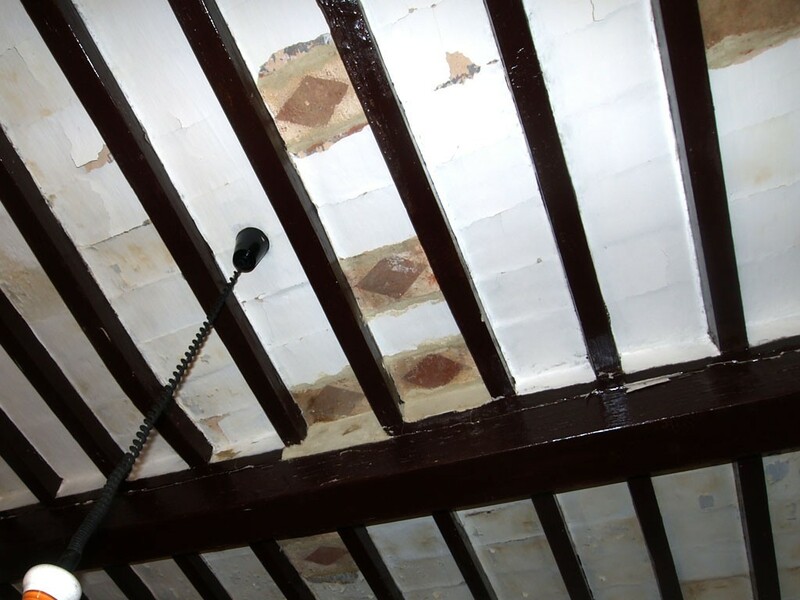 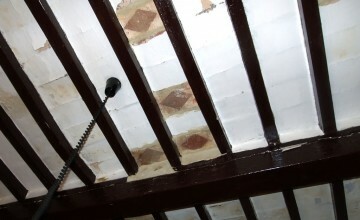 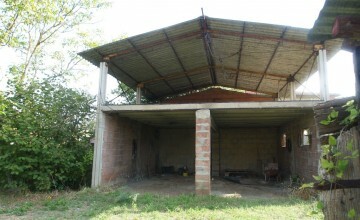 Obviously, the interiors need to be restored but the structure of the building is solid. 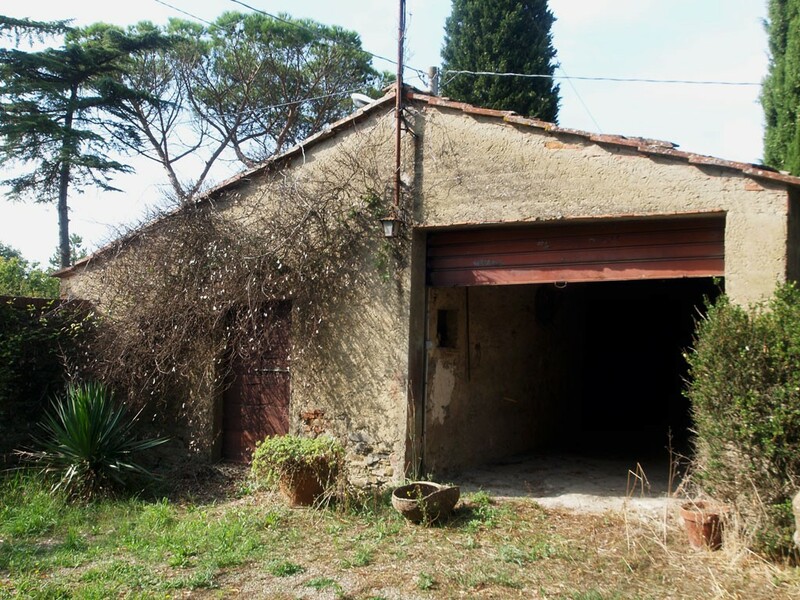 There are several outbuildings which can be transformed into additional living space. 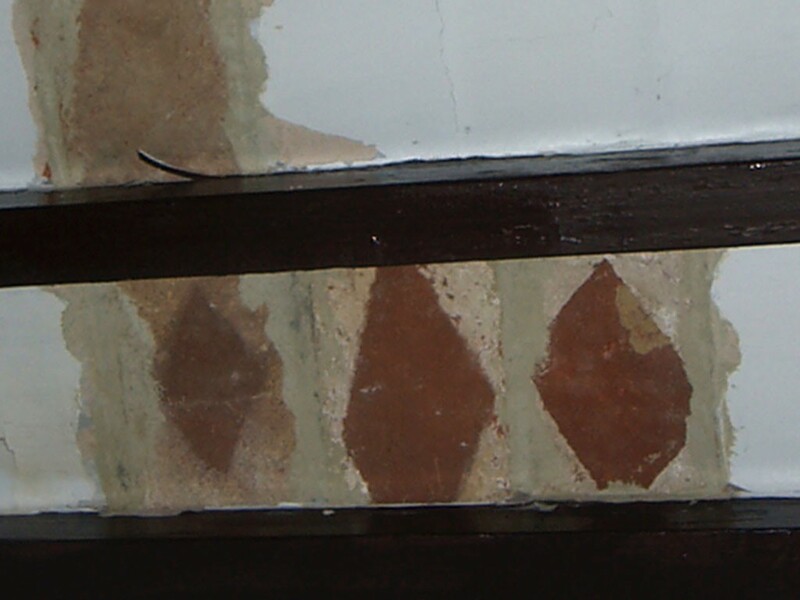 Some of them are in stone and their total surface is over 4300 sq. 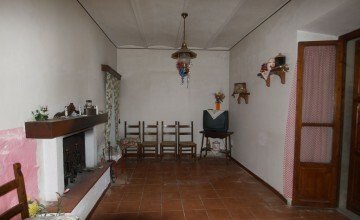 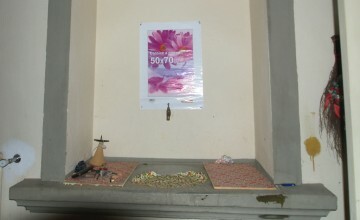 feet (400 sq.m.). 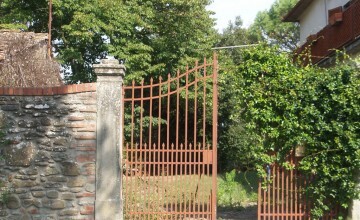 The land is fenced from the road by an old stone wall and has antique entrance gate. 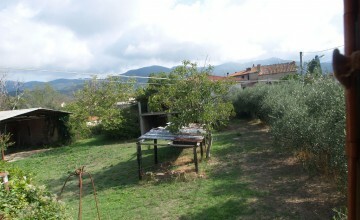 There is quite a large vineyard, some olive trees and arable land. 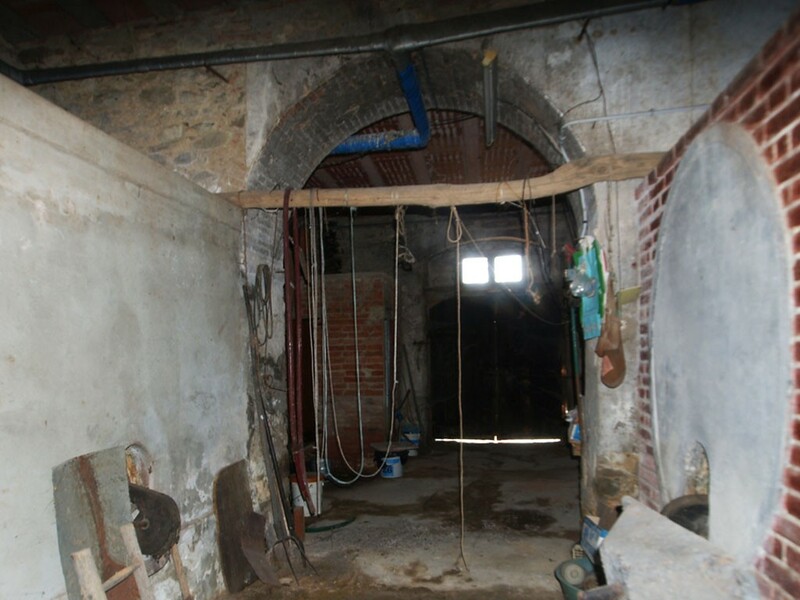 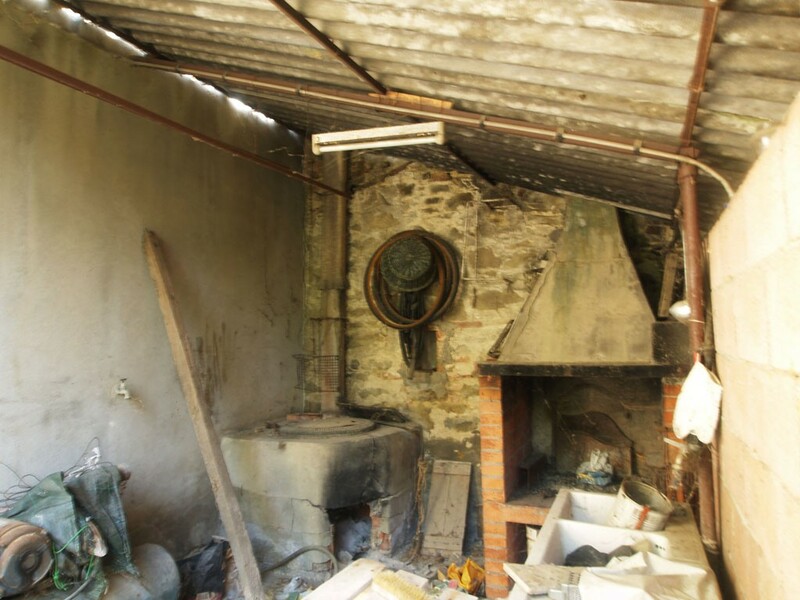 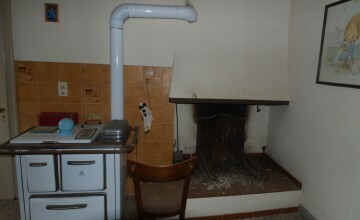 The owners used to produce wine in the past and some of the equipment is still in the cellar. 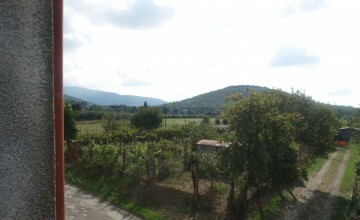 There are two water well, electricity and the city gas is ready to be connected. 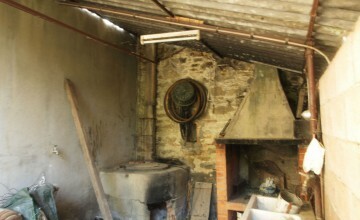 In the past gasoline was used for heating, but in case of restoration works it would be recommended to use either gas or other sources. 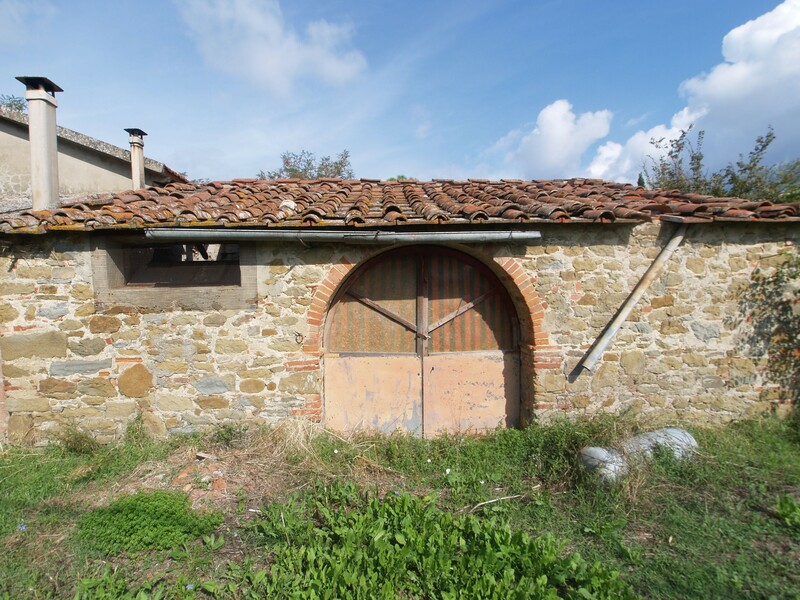 Given the location, easy access and convenient price it is a great opportunity for those who would like to start an activity in Tuscany.